Your invitation to Thematic will expire 7 days after it is sent. You can ask an Administrator in your organization to reinvite you if your invitation has expired. Accepting your email invitation to Thematic will create your login details for your Thematic. 1. Find your invitation email for Thematic by searching for the most recent "Welcome to Thematic" email. If you don't have a "Welcome to Thematic" email check with an administrator in your organization that your correct email was invited and ask them to reinvite you if the email was incorrect. 2. Once you have the email, click the "Confirm my account" link. This will take you to the Thematic client where you will choose your login password. 3. 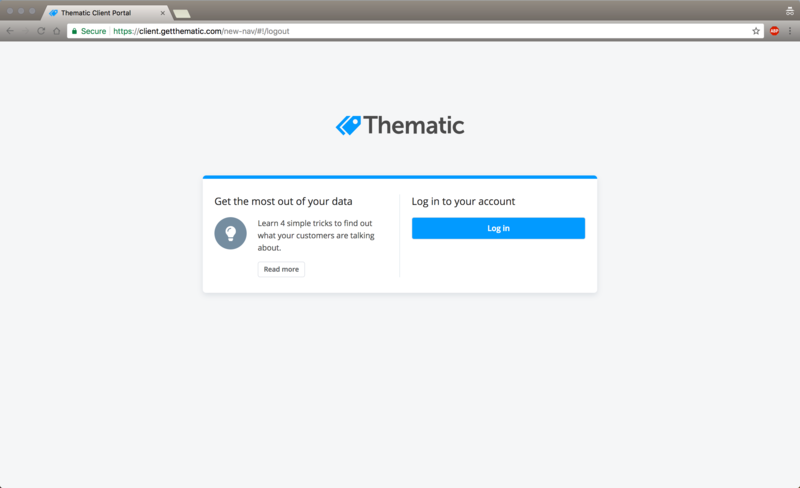 Once your new password is successfully submitted the page will change to the Thematic login page at https://client.getthematic.com. You are now ready to log into Thematic using the email address your invitation was sent to, and the password you have chosen.